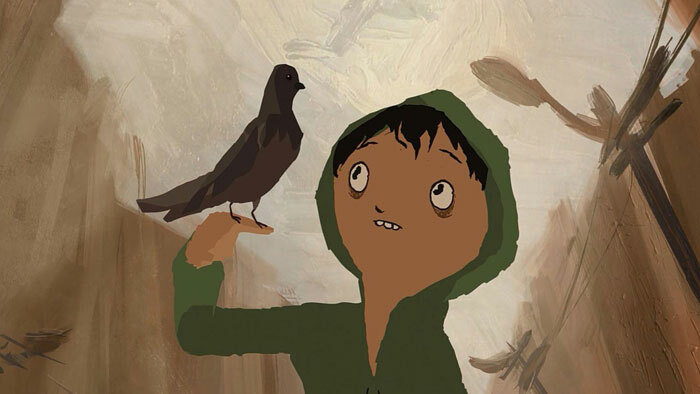 Image courtesy of Northwest Film Forum: ‘Tito and the Birds’ is one of the many feature films to be seen during the 14th annual Seattle Children’s Film Festival, which runs Jan. 24 to Feb. 9. Many a cinephile will tell you that, as Roger Ebert famously said, movies are gateways to empathy, inspiring a more nuanced understanding of the world. Of course, many cinephiles will also tell you that they got started young. Luckily, the Seattle Children’s Film Festival is here to serve both those needs; in its 14th year, the festival stretches more than two weeks, featuring 146 films from 39 countries. There are plenty of gems nestled in lineup: an quartet of films focused on the resilience of strong girls, whether faced with a pipeline invading homeland waters or just an average day. “Chieri and Cherry” beautifully animates the story of a lonely girl with a vivid imagination through understanding death. You can find details of the full festival, which runs Jan. 24 to Feb. 9 at childrensfilmfestivalseattle.org. And this year the festivities will be kicking off with a rainbow connection: A sing-along screening of “The Muppet Movie” 7 p.m. Thursday, Jan. 24, at the SIFF Egyptian Theater on Capitol Hill, which will preceded by a “Pizza and Puppetmaking” workshop with local animator Clyde Petersen at 5 p.m. Advanced registration is required. Alternately a call to arms and a fantastical tale of having courage, “Tito and the Birds” is a beautiful flight of fancy that taps into the anxieties of modern day for both kids and adults. The titular Tito works to continue his father’s research to end fear, an affliction he sees cripple the people around him, literally making them sick and transforming them. His answer: Birds. And, in the beautifully animated, oil-painting-esque world of “Tito and the Birds,” it’s not as crazy as it sounds. It’s a daydream of a world that doesn’t always feel so fanciful; instead it feels anchored in the strangest places — places that appeal to the child in all of us. It’s audacious, in a quiet sort of way; like the kid in the back of the class who’s doodling but knows all the answers anyway. What its message may ultimately lack in punch, it more than makes up for in style, sure to be a hit with kids and parents alike. “Tito and the Birds” plays 7 p.m. Saturday, Jan. 26, at the Northwest Film Forum,1515 12th Ave.
Don’t miss your chance to see the first-ever official Iranian entry by a female filmmaker for Best Foreign Film at the Academy Awards. Narges Abyar follows Behar, a young girl growing up in Yazd during the 1970s and ‘80s. A country in upheaval — a Shah overthrown, a new leader rises to power, a war with Iraq builds — is the backdrop here, but Behar’s world, colored by the fantasies she concocts from books and more, is the focus. Abyar jumps from one moment to the next, threading life events as if they’re dominoes; sure, they fall into each other, but are almost casually unrelated. “Breath,” perhaps more than any other film, understands how childhood is shaped by the world around it, even if you don’t really know it yet. “Breath” plays 7 p.m. Thursday, Jan. 31, at the Northwest Film Forum. While feature films may require a time or attention commitment that your child just isn’t up for, that’s what the short film programming is there for. There’s plenty variety here that’s a bit more bite-sized for the average child. What’s more, you can self-select your content. Though shorter than a feature, these films run the gamut, with everything from talking about anxiety (“Just Breathe” or “Citizen Minutes: A Conversation About Anxiety”) to turtles (“Caracol Cruzando” or “My Haggan Dream”) to a hotdog trying to escape bread (“How to Make a Hotdog”). The festival offers various tracks to choose from, including themes like borders and home, gender and identity, and even a showcase from young filmmakers. The Seattle Children’s Festival shorts programs play on Saturdays and Sundays throughout the festival, as well as on Wednesday, Jan. 30.